The Chocolate Lover's Tower is filled with chocolate covered snacks like pretzels, nuts and popcorn. Our Chocolate Lover's Tower boasts a contemporary swirl design that your clients will love. 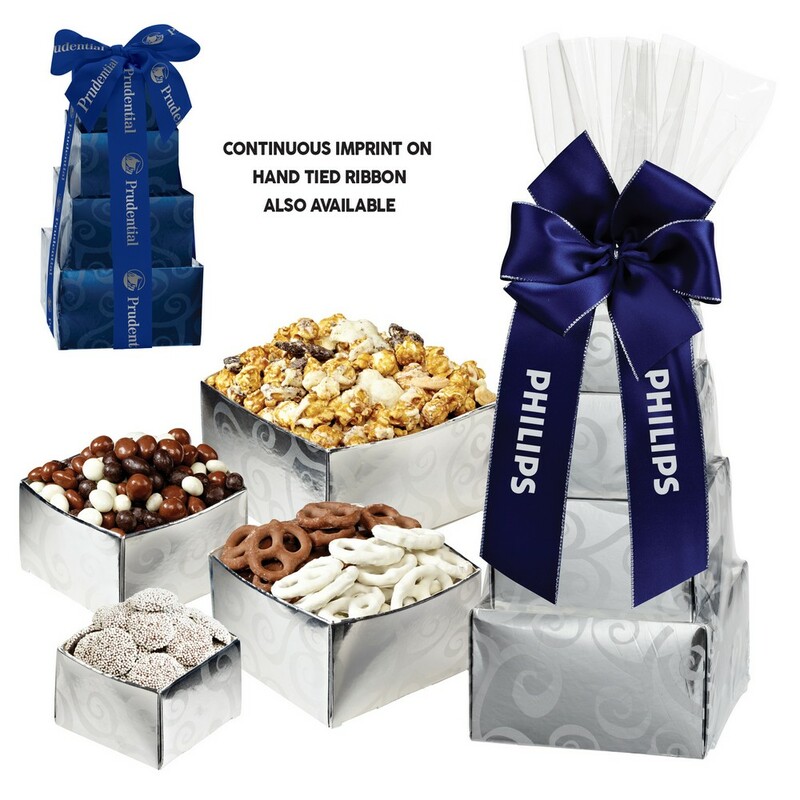 Each tower is packed with our vanilla cookies & cream popcorn, cookies & cream popcorn, yogurt covered pretzels, milk chocolate pretzels, yogurt, milk & dark chocolate covered raisins, and large dark chocolate nonpareils. 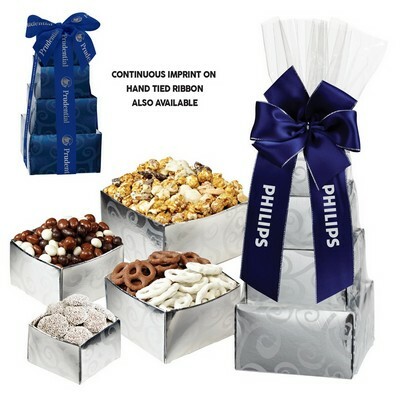 This is a gift that's sure to please your employees and clients during the holiday season.